Skulls and pumpkins and turkeys, oh my! 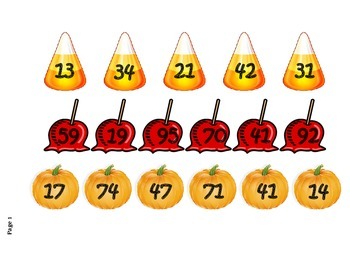 This math station or math tub item is a collection of 9 fall themed clipart strips with five to six double digit numbers for students to place in order from greatest to least and least to greatest. 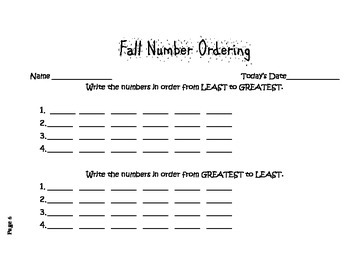 This item also includes 3 challenge strips with three digits.